It’s that time of year again – either the more tedious of the two annual football transfer windows by some distance, or a key moment during the season, when one or two strategic signings make the difference between whether your team thrives, survives or, well... fails to do either of those things. With Harry Redknapp not currently in Premier League employment, this year’s January transfer window may be short of some of the ‘car door interview’ action that we’ve seen in windows past, but that doesn’t mean some extremely important signings won’t be made in the weeks ahead. So without further ado, here’s the Profit Accumulator verdict on what each and every Premier League team needs during the January transfer window 2017. With the Gunners’ only player acquisition by this stage of the window the talented non-league defender Cohen Bramall, they are currently backing up manager Arsene Wenger’s earlier suggestions that they were unlikely to spend big in January. However, that hasn’t stopped them being linked with players ranging from West Ham’s Dimitri Payet and Sunderland goalkeeper Jordan Pickford to Borussia Dortmund forward Pierre-Emerick Aubameyang and Real Madrid ace Isco. However, the Emirates squad has few obvious weaknesses that could be realistically addressed during a window when the biggest stars are unlikely to move. It means that much of the press attention will instead continue to focus on whether existing stars like Mesut Ozil and Alexis Sanchez will sign new contracts at the club. It’s been a quiet window for Eddie Howe’s team so far, which shouldn’t be a massive surprise – not least because of the manager’s own suggestions that he did not think his squad required major changes. While, for example, the Cherries had been linked with a permanent deal for on-loan Chelsea defender Nathan Ake, the 21-year-old Dutchman has sufficiently impressed Blues manager Antonio Conte to earn a recall to Stamford Bridge. With the Italian declaring that the young talent “deserves to stay in a great team like Chelsea”, Howe is reportedly already looking for a replacement – the Daily Mail stating that the club “want to replace Ake with another central defender who is comfortable on the ball.” Out-of-favour Chelsea captain John Terry has been suggested as a potential on-loan replacement. While boss Sean Dyche insisted earlier this month that the Clarets were “working hard” to enhance their squad this month, the fact remains that they have only so far recruited 34-year-old Joey Barton on a free transfer. However, with the club sitting comfortably in mid-table, there are hopes that last year’s Championship winners will be in a position to attract decent acquisitions. It has been reported, for example, that Dyche is keeping an eye on the situation of Max Gradel at Bournemouth. The Ivory Coast forward has only featured in five Premier League games this term and may ask to leave the Cherries. Given the Stamford Bridge outfit’s (by January standards) towering five-point lead at the top of the table, manager Antonio Conte could be forgiven for feeling quite content with his squad. Sure enough, the Blues have impressive strength in depth despite the recent departures to China of Oscar and John Obi Mikel, with the likes of Willian and Cesc Fabregas providing invaluable backup in midfield and John Terry and Kurt Zouma useful defensive substitutes. Only up front does the squad look a little light, which may make a swoop for an attacker such as Real Madrid’s James Rodriguez or Bayer Leverkusen’s Hakan Calhanoglu tempting for Conte. The recent departure of Alan Pardew as manager, with former England boss Sam Allardyce replacing him, should make the January window a busy one for the Eagles, given the latter’s reputation for astuteness in the mid-season transfer market. Allardyce is also known to like his teams to work from the back, so we wouldn’t be surprised to see the arrival of a defender such as Southampton’s José Fonte, Arsenal’s Kieran Gibbs or Montpellier left-back Jérôme Roussillon, who has been tipped as a stop-gap replacement for long-term injury absentee Pape Souare. The Palace team has also sometimes lacked a natural holding midfielder, although precious few players fitting that description have been linked in the press. Ronald Koeman's men are certainly expected to be one of the busier clubs in this transfer window under the auspices of new cash-rich owner Farhad Moshiri. Sure enough, at the time of typing, they have already secured the services of 19-year-old forward Ademola Lookman in a £11m deal with Charlton Athletic, with Manchester United midfielder Morgan Schneiderlin also completing a medical ahead of a mooted £22m move. Koeman reportedly only agreed to become Toffees manager after he was assured that he would have the cash to spend to transform the Merseysiders into Champions League contenders. We therefore wouldn't be surprised to also see swoops for Manchester United winger Memphis Depay or Southampton's Virgil van Dijk, who former Saints player Jamie Redknapp recently declared the best centre-half in the Premier League. The East Riding of Yorkshire club’s lack of player recruitment in the summer may have ultimately cost former manager Mike Phelan his job, and they unsurprisingly remain rooted to the bottom of the table. While the Tigers have been linked with many players that few people would doubt they need if they are to have a fighting chance of Premier League survival - including the likes of Arsenal right-back Carl Jenkinson, Lazio midfielder Ravel Morrison and 20-year-old Chelsea fledgling Ruben Loftus-Cheek - it is difficult to see many of them being attracted to the club in its present predicament. However, the club has at least secured a permanent transfer for previously on-loan midfielder Markus Henriksen. Although the defending champions are at the opposite end of the table to where they were last season, they are arguably where many expected them to be. Furthermore, with so many signings made last summer still finding their feet, it seems unlikely that manager Claudio Ranieri will do much to disrupt the team's stability. One type of player that the team has noticeably lacked since the departure of N'golo Kante to Chelsea at the end of last season is a ball-winning midfielder, a gap now plugged by the arrival of 20-year-old Nigerian talent Wilfred Ndidi. An obvious area of weakness in manager Jurgen Klopp's squad is at left-back, where James Milner has been filling in admirably. However, there has been a noticeable lack of players in that position being linked to the club in the papers, so the German seems content with present arrangements. The charismatic boss has gained a reputation since his appointment as Reds boss for raiding his home league, the Bundesliga, for talent. It's therefore hardly a shock that there has been talk of swoops for such stars of that division as winger Julian Brandt and centre-back Jonathan Tah. Pep Guardiola's side rank highly when it comes to possession stats, but less so clean sheets, which makes the purchase of new defensive talent surely the most important priority for the Spaniard. However, it's tricky to see how the Citizens can find sufficiently capable players for less-than-insane money. While there has been talk of a bid for Southampton's in-demand centre-back Virgil van Dijk, for example, suggestions of a £50m asking price could put off even such cash-rich suitors as City. Thus far, then, the only player to have been added to the team at the Etihad Stadium this month is Palmerias forward Gabriel Jesus. The Red Devils’ combination of heavy summer spending and a strong current run of form under manager Jose Mourinho makes another dip into the transfer market this month seemingly unnecessary, or at least improbable. Even a mooted move for 22-year-old Benfica defender Victor Lindelof has been shelved until the summer at the earliest, according to The Independent, despite centre-back Eric Bailly’s temporary absence due to his appearance in the Ivory Coast team for the African Cup of Nations. Nonetheless, the Portuguese has been linked with swoops for a wide range of talent, including the likes of Real Madrid’s James Rodriguez, Paris St-Germain’s Edinson Cavani and Antoine Griezmann of Atletico Madrid – moves that may also not now happen until the summer. While the Teessiders are one of the most shot-shy teams in the division, this is widely thought to be largely attributable to boss Aitor Karanka’s style of play. Nonetheless, that hasn’t prevented the club snapping up Aston Villa striker Rudy Gestede for a fee understood to be between £6m and £7m. Otherwise, it has been a quiet January transfer window at the Riverside Stadium, with few other potential targets mentioned in the media, aside from Udinese midfielder Emmanuel Agyemang-Badu. The Saints have seen plenty of player exits in recent transfer windows, so boss Claude Puel may be more concerned about keeping hold of existing talent – such as defenders Virgil van Dijk and José Fonte – than making new additions to the squad. However, any defensive departures may be more likely if the club’s interest in Liverpool outcast Mamadou Sakho comes to anything, The Sun having claimed that they are in “pole position” to secure the giant centre-back’s signature. The Stoke defence has become more porous recently, so a centre-back would be an obvious type of player to seek, although few players of that description have been linked in the media. Instead, there has been speculation about the club renewing its interest in West Brom misfit striker Saido Berahino. Other players to have been cited as possible Potters targets include goalkeepers Ørjan Nyland of Ingolstadt and Manchester United’s Sam Johnstone, although the latter has now gone on loan to Aston Villa. The Black Hats’ heavy dependence on Jermain Defoe for goals makes it vital that the North East club keeps hold of him, which could be difficult with such potential suitors as West Ham sniffing around. It would certainly lessen the relegation-threatened club’s nerves if they could acquire a decent supporting striker, such as Southampton’s Shane Long or Stoke City’s Peter Crouch. However, the latter has just committed to a new contract that will keep him with the Potters until the summer of 2018. While new Swans head coach Paul Clement has signalled that he expects a busy transfer window for the second-from-bottom side and has enquired about out-of-favour Liverpool defender Mamadou Sakho, a reported £20m price tag could well put him off. The team has had few problems scoring this season, but is continuing to ship goals, so bids for defensive talent such as Arsenal duo Carl Jenkinson and Kieran Gibbs and Barcelona’s Aleix Vidal seem likely. Spurs were another side to spend big last summer and are well-placed in the league right now, so seem unlikely to splash the cash mid-season. However, if manager Mauricio Pochettino is concerned about his team’s continued dependence on Harry Kane for goals, we could see him making a move for a suitable backup striker such as Bayer Leverkusen’s Javier Hernandez or Schalke’s Max Meyer – the latter capable of playing directly behind the Englishman or taking a forward role himself. The lack of goals this season from forwards Odion Ighalo and Troy Deeney compared to last term suggests that the Hornets could do with a few midfield recruits to provide their undoubtedly talented strikers with better service. It therefore seems logical that at the time of typing, Everton ace Tom Cleverley is poised to join the club on loan. However, the likes of Nottingham Forest’s Henri Lansbury – now likely to join Aston Villa – and Manchester United winger (and former Watford star) Ashley Young have also been mentioned as options. As a top-half club as of present, West Brom are in a position of transfer market strength under current boss Tony Pulis. Although he has not made any signings so far and looks likely to miss out on Everton-bound Manchester United midfielder Morgan Schneiderlin, the Daily Star has suggested that he could be interested in a swap deal with Crystal Palace for Christian Benteke. Such a transfer would involve the former Liverpool striker arriving at the Hawthorns while Pulis’s own want-away striker, Saido Berahino, would head to London. Results have recently improved for the Hammers after a rocky start to life at their new London Stadium home, so Slaven Bilic may place more emphasis on transfers out than transfers in. 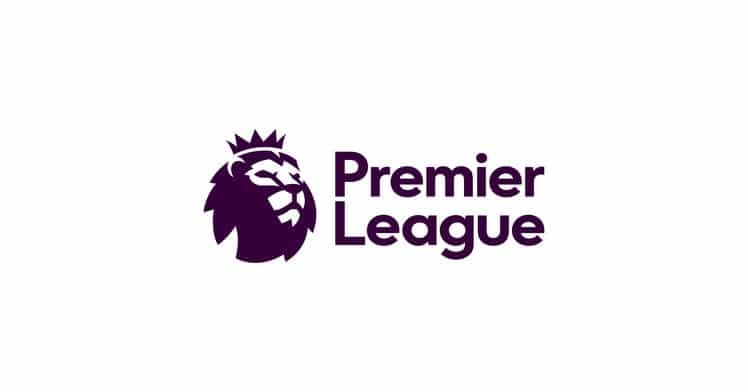 However, the team’s low shooting accuracy this term doesn’t make it a big shock that they made a bid for their former striker, Sunderland’s Jermain Defoe, which was rejected by the North East club. They have also looked across London to consider a loan bid for Chelsea forward Michy Batshuayi, according to Sky Sports. The Irons had been interested in the 23-year-old Belgian last summer before his move to Stamford Bridge, where he has subsequently struggled for game time. As for you... what do you need this January? 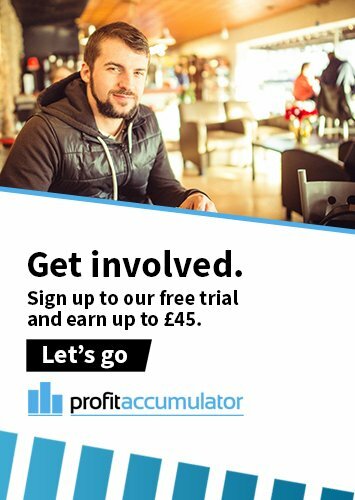 If, like a couple of the clubs mentioned above (well, almost any of the clubs mentioned above), you could do with a bit more cash to fund some acquisitions this New Year, you've certainly come to the right place here at Profit Accumulator. Simply register with us online today to discover just how healthy an influx of dosh a membership with us could give you... not just on a one-off basis, but every single month. Good luck in 2017!